Pain can occur in the arm and hand due to simple reasons such as overuse. But pain can also occur because of life threatening health issues such as heart attack. Pain may be localized and can occur in a particular area or the pain could be radiating to other areas of the hand and chest. Pain in the right hand is usually caused by Writer’s cramp. Pain in the left hand could be due to heart attack, heart anxiety neurosis or because of gas being trapped. If pain occurs in both the arms and hands, it could be due to fibromyalgia, Rheumatoid arthritis, ischemic heart disease or even because of Raynaud’s disease. Angina pectoris is the pain caused by coronary heart disease. It usually occurs in the sternum, commonly called the breastbone. The pain also radiates along the left shoulder. At times, pain can also be felt over the jaw and in the left arm down to the fingers. Angina pectoris can last for about 5 minutes and is usually triggered when strenuous exercise is done. It can also be triggered by extreme temperatures, stress and large meals. This pain can be relieved with the use of nitroglycerin and rest. Heart attack pain is similar, but lasts longer for about 15 minutes and cannot be relieved with the use of nitroglycerin and rest. For some people, especially women, pain due to heart attacks can radiate down to both the right and left arms. Acute pericarditis is the swelling of the sac of the heart. This kind of inflammation can lead to fever, chest pain that is sharp and radiates to the left arm. This pain can occur for a few weeks continuously and can usually be relieved when the affected person lies down. Cardiac neurosis is the medical name for panic attacks. Such attacks can occur because of severe emotional stress and trauma. In this condition, the pain mimics a heart attack by radiating to the left arm. Associated symptoms are palpitations (heart pounding), severe sweating, dizziness and hyperventilation. 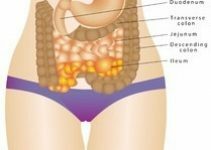 Those with irritable bowel syndrome can be affected by gas being trapped in the intestine, near the spleen. When gas is trapped in the abdomen, there could be abdominal pain associated with pain being referred to other parts of the body as well. Pain can occur in the chest, shoulder and in both the arms. In some patients, pain can be present only in one arm, usually the left one. This medical condition is typically referred to as splenic flexure syndrome. Acid reflux, medically known as Gastroesophageal reflux disease (GERD) can also cause pain just behind the sternum. GERD is more commonly known as heartburn. Very rarely, pain can be felt over the left arm. Unlike pain in the left arm, right arm is not affected by pain due to specific diseases. Prolonged writing or prolonged usage of the right hand (being the most common dominant hand) while playing the violin or piano can lead to muscle contractions that are involuntary. Such contractions and related pain can also occur because of acquired or genetic dystonia, which is a neurological disorder. 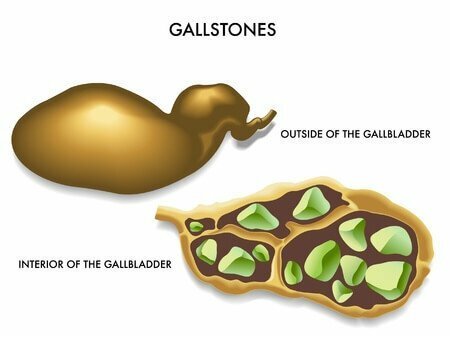 Rarely right arm pain can occur in the arm due to presence of gallstones. Usually this pain is present in the shoulder blade on the right side. There are spinal discs present between all the vertebrae. When the discs in the cervical area or neck are herniated, it can lead to impingement of the spinal nerves. Spinal nerve pinching can also occur because of whiplash injury, arthritis, osteoporosis and vertebral fracture. Pain or discomfort can occur in the neck and shoulder. Pain can also radiate to the arm, through the forearm and up to the fingers. There can also be numbness and a tingling sensation associated with the pain. The pain can be exaggerated by performing movements like bending the head sideways or backwards. The serratus anterior muscle usually helps in the movement of the arm forward. Repeatedly using this movement can lead to pain over the chest that radiates to the arm up to the fingers. Heavy breathing can increase the pain. Myofascial pain syndrome occurs when muscle knots are formed due to overuse of back muscles. Sports like swimming and rowing can cause this syndrome because of muscle overuse. The muscle knots form trigger points that can cause pain radiating up through the forearm. Playing games such as tennis and golf or being involved in swimming or painting can lead to repetitive overhead use of the hand. This leads to overuse of the muscles forming the rotator cuff in the shoulder. The tendon of these muscles can become inflamed and leads to pain in the shoulder and outer aspect of the upper part of the arm. The tendons that are present around the shoulder joint can become calcified. This is because of chronic inflammation of these tendons. This can cause pain in the shoulder and the upper part of the arm. The capsule (a type of ligament) in the shoulder joint can have chronic inflammation, which can lead to stiffness in the shoulder joint. Any movement against this stiffness of the shoulder can lead to pain over the shoulder as well as upper aspects of the arm. Some types of arthritis, like rheumatoid arthritis can affect the shoulder. This leads to inflammation in the joint area and associated pain in the joint. Any movement of the shoulder can cause pain to radiate to the whole of the arm. Damage to the ligaments around the shoulder is termed as shoulder sprain. It causes swelling over the shoulder. Pain can occur not only over the shoulder, but also over the entire part of the upper arm. Stroke can cause muscle paralysis or weakness. Due to this, movements are limited and stiffness of the shoulder can occur. Movement of the stiff shoulder can then cause pain in the shoulder joint area. Several nerves and blood vessels exit through the anatomical gap present between the neck muscles, clavicle and the upper rib. When these nerves are compressed due to decrease in the space, it leads to shoulder pain and associated neurologic deficits. Decrease in the thoracic outlet space can occur due to overuse of arm, presence of a cervical rib and also due to bad posture. Numbness over the affected area and weakness of the muscles can occur. 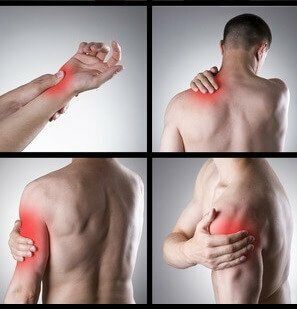 The pain can not only occur in the shoulder, but it can also radiate into the neck, arm and forearm. The pain and other symptoms can worsen when the arm is lifted above shoulder height. Surgery and trauma are leading causes of brachial neuritis, which is swelling of the nerves that are part of the brachial plexus. This condition causes pain in both the upper arms and both shoulders. The humerus is the bone in the upper arm. When the tip of this bone dies, it can cause severe pain throughout the shoulder, which also reaches the elbow. The tendons of the forearm over the front of the hand start from the medial epicondyle, or inner aspect of the elbow. These tendons can become inflamed due to repetitive stress caused by playing baseball, tennis and golf. Pain is present over the inner surface of the elbow joint area. The tendons of the forearm over the back of the hand start from the lateral epicondyle, or outer aspect of the elbow. These tendons can become inflamed due to repetitive stress caused by playing tennis. It can also occur in occupations such as carpentry, plumbing and painting. Pain is present over the inner surface of the elbow joint area. 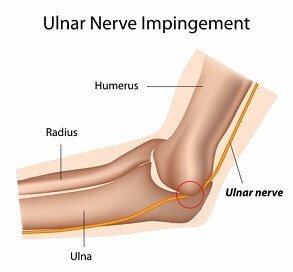 The ulnar nerve can become compressed when the elbows are bent while sleeping. It can also become compressed when one leans on the inner part of the elbow. When this nerve is compressed, there is pain, numbness and a tingling sensation over the same side of the forearm and elbow. Relieving the pressure over the nerve relieves the pain. Repeated extension of the elbow and rotation of the forearm can lead to compression of the radial nerve. This nerve is present on the outer part of the arm. Compression of the radial nerve can lead to pain over the back of the forearm, but usually this pain is not accompanied by numbness or tingling sensation. Median nerve compression in the wrist can be caused by diabetes and hyperthyroidism. Overuse of wrist can also cause similar problems, leading to pain, numbness and tingling sensation over the middle finger, index finger and the thumb. Phalen’s test and Tinel’s sign are tests to diagnose carpal tunnel syndrome. Compression of ulnar nerve at wrist joint area can occur in cyclists. Just like other nerve compressions, this condition causes pain over the ring and pinky finger and also over the forearm on the medial side. The pain is also associated with numbness and tingling. The muscles that move the thumb can become inflamed due to wrist overuse. Any activity involving twisting the wrist or grasping leads to pain as well as swelling over the affected area. When the bent finger is extended, there is a feeling of the finger snapping. During this sudden snap, there is a shooting pain over the middle of the finger. This problem is caused by severe strain to the finger muscles. The spine gives origin to sympathetic nerves that are present over the chest area. Repeated overstretching of the upper body causes irritation of these sympathetic nerves. Pain is present over the shoulder and there is presence of paresthesia over the forearm, extending to the hand as well as the fingers of the hand. It can be limited to one side or occur on both sides. Fibromyalgia: This type of pain is caused by certain tender areas over various parts of the body. Common sites where pain occurs are over the neck, elbow, shoulder, knees, hips and other joints. Peripheral neuropathy: When the nerves in the peripheral areas of the body are damaged, it is called peripheral neuropathy. Such nerve damage can occur either in the arms or legs and can be caused by diseases or injury. Direct injury to nerves can cause neuropathy. Diseases like diabetes, leprosy, nutritional deficiencies and even autoimmune disorders can lead to neuropathy in the peripheral nerves. Damage to peripheral nerves can cause muscle paralysis, leading to deformities, sensory loss leading to wounds and loss of autonomic functions. Paresthesia or altered sensation, including severe pain can occur in the affected areas. Neurological disorders: There are several other neurological diseases where there is pain, altered sensation, muscle paralysis and deformity in the hands and legs. 1. Stenosis of the cervical spine can lead to myelopathy or muscle weakness. 2. Syringomyelia: If there is a cyst present in the neck, it can cause spinal cord damage with associated symptoms. 3. Lyme disease and Shingles, Transverse myelitis, any vaccination, autoimmune disorders and even multiple sclerosis are neurological diseases where several symptoms like pain and urinary incontinence can occur due to central nervous system disorder or peripheral nerve damage. 4. GBS or Guillain-Barré syndrome is a serious peripheral nerve disorder that causes damage to all nerves. It starts slowly from the peripheral parts of body to the head. It leads to pain in joints and muscles. Paralysis of respiratory muscles causes breathing difficulty. 5. Polio is very rare these days, but when it affects individuals, it can cause serious crippling paralysis. There is pain in the joints in the acute stage. In the later stages, pain is associated with deformity and muscle paralysis. Dermatomyositis & Polymyositis: This is a disease where the muscles become swollen and damaged. Different muscles from all over the body can be affected, but mainly the muscles in the hip and shoulder are damaged. Polymyalgia rheumatica: This disease starts with mild fever and occurs mainly amongst the elderly. It causes muscle damage and pain in the muscles. It mimics arthritis and causes stiffness in various joints, especially those of the upper limb. Shingles: When the Varicella Zoster virus is reactivated, it affects one of the many spinal nerves. There is severe pain over the course of the nerve. There could also be blisters over the nerve. Pain reduces only after antiviral therapy is taken for many weeks. Cellulitis: This disease is caused by a bacterial infection of the skin and underlying tissues. It is caused by a bite by any animal or insect and can occur after trauma like skin lesions. There is tenderness in the area with redness, warmth, pain and swelling. Lymphangitis: When there is a swelling of the lymph vessels, it leads to tenderness. Erythema occurs over the skin from the hand to the armpits. When the lymph nodes under the armpits are infected, it causes fever, severe pain and chills. Muscle pain: When muscles are overused even after damage, it causes severe pain and tenderness in the affected area. 1.1 Muscle soreness that is delayed: After a severe strain to an individual or group of muscles, soreness in the muscle can start a day or two later. This is called as delayed onset soreness. It causes severe tenderness and pain in the muscle for a week or more. It is caused by sudden strenuous exercise. 1.2 Strain: Strain occurs when the muscle is damaged. It is commonly termed as a pulled muscle. Overwork of muscles can lead to this kind of injury. It causes severe sudden pain during the activity and can cause tenderness and swelling over affected area. 1.3 Muscle tear or muscle rupture: There could be a deformity that is noticed on palpation. Severe pain occurs suddenly during an activity because of muscle tear. 1.4 Compartment syndrome: Muscles in the body are layered and there is minimal space between muscles. At times, there is compression of these muscles because of internal bleeding or swelling causing compartment syndrome. Even unaware compression can cause this problem. Injuries due to trauma and tight casts and splints can cause this situation. The arteries become blocked, therefore, there is no blood to the muscles. This is called atrophy and the muscles begin to die. Symptoms of compartment syndrome are severe pain that is burning in nature, swelling in the affected area and tightness in the part. Any delay in treatment could lead to necrosis or permanent muscle cell damage and death of the tissue, resulting in amputation. 1.5 Rhabdomyolysis: When a person suffers from compartment syndrome that is in its acute stage, there can be a breakdown of the muscle along with severe muscle pain. Urine color can darken. The pain caused by damaged nerves is shooting in nature. The sharp pain is associated with numbness and a tingling sensation. 2.1 Regional pain syndrome: When the nerves are affected after a serious incident like trauma, heart attack, surgery or even stroke, there is severe pain that is squeezing in nature. The whole area like the arm or leg can have such pain. The pain is accompanied by increase or decrease in temperature, abnormal paresthesia, and loss of muscle power which leads to weakness or paralysis. The skin color could also change. Sprain or dislocation: There is localized pain and tenderness. Swelling can also be present. Bursitis: Bursitis can occur in the shoulder or elbow due to overuse of the joint. The bursae are tender, swollen and red. This causes local pain over the elbow joint or shoulder joint. Osteoarthritis: If the joint is overworked, it becomes damaged. This can lead to pain as well as swelling, usually occurring in the shoulder and elbow joints. Rheumatoid arthritis /Systemic lupus erythematosus / psoriatic arthritis: These are some of the different kinds of arthritis that mainly affect the small joints of the hand. The fingers are most commonly affected. They can have severe swelling, redness, throbbing and continuous pain. Contusions: Contusions occurs because of a bruise in the bone. This injury is common in the shoulder, mainly the upper end of the humerus bone. If can also occur in other joints after a fall. Marks of a bruise on the skin may not be visible in a few days, but the bruise to the bone can last for many months. The symptoms include pain and inability to use the part effectively. Fracture of bone: Fracture of a bone is the lack of continuity in the bone. Such a break in bone occurs because of a sudden traumatic injury. The symptoms include severe pain and swelling that is localized to the injured area. There could be an associated deformity and bone bruising. Osteomyelitis / Infection of bone: This is caused by an infection in the internal parts of the body or because of open wound trauma. The symptoms of osteomyelitis are dull but continuous pain over the affected area, fever and chills, redness and swelling. 5.1 Buerger’s disease: Also known as Thromboangiitis obliterans, this disease causes inflammation in the veins as well as arteries. This damage to the blood vessels occurs because of excessive smoking by young males. Any activity could trigger severe pain in the hands as well as feet. 5.2 Thrombophlebitis: A clot could form in the veins, this is known as thrombophlebitis. Several risk factors can result in this disease. Some of them are smoking, cancer, long duration of bed rest, vasculitis and drug abuse. This could result in severe pain along the course of the vein, redness and tenderness. It is a tumor that is malignant. It can appear as a swollen area on the arm. It can be painful or painless. If bone cancer occurs in the arm, it can lead to dull but throbbing pain, mainly in the early stages of the disease. Pain typically occurs at night. In this type of cancer, the enlargement of the lymph nodes can lead to pain and swelling in armpits. 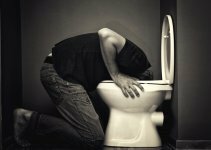 This pain can be triggered by alcohol consumption. This tumor occurs at the apex of the lungs, on both sides. The brachial plexus are affected and the nerve pain due to this can occur over the shoulder. It also radiates to the inside of the arm. After menstruation and before ovulation every month, there could be pain as well as heaviness in the breasts. Pain can also be present in the arms and armpits. This is known as cyclic breast pain. Breast cancer can lead to axillary lymph node enlargement. This may cause arm pain. 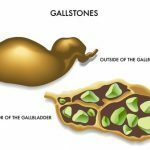 Removal of these nodes can also cause pain. Pregnancy can lead to arm pain because of postural changes. Poor posture can occur in the lying position or even in the erect posture, because of the weight of the fetus pulling the spine forward. Amputation is the surgical removal of a body part due to disease or accident. In those who have undergone amputation of the arm, there can be a squeezing sensation or severe pain. This pain can last from a few weeks to many years after the amputation. It is caused because of the brain not recognizing the fact that the part has been amputated. When the cause of pain is not identified, it is termed as unexplained arm pain or idiopathic pain. Even in conditions when the arm pain is yet to be diagnosed, it is termed thus. 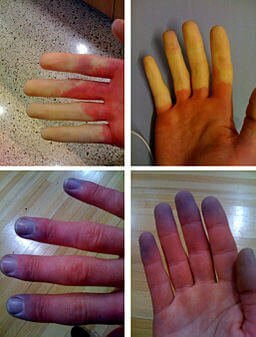 Pain due to Raynaud’s disease, lung cancer, regional pain and brachial neuritis is termed as unexplained. Diagnosis of the cause of arm pain is usually done by a neurologist or an orthopedician. Magnetic resonance imaging (MRI), computer tomography (CT) or blood tests are done during diagnosis. The therapy for pain in the arm depends on the cause of the pain. Injuries and pain caused by overuse can be overcome with rest and splints. 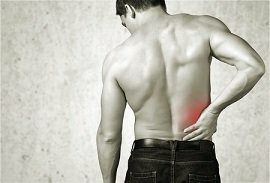 Persistent pain can be relieved by longer rest period or changing an activity or sport. Analgesics can help in relieving pain. Common analgesics are paracetamol and aspirin. Immobilization may be required if the pain is very severe. Surgical intervention may be needed if pain in arm is caused due to fractures, carpal tunnel or thoracic outlet syndromes, capsulitis or tendonitis.